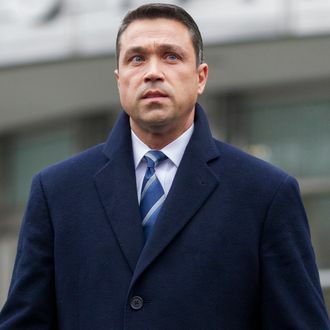 Michael Grimm, the felon who also happens to represent Staten Island in Congress, may finally be resigning from his elected position. The embattled politician pleaded guilty to a felony charge of “aiding in the preparation of a false tax return” last week, in exchange for having more than a dozen other charges dropped. Should he be convicted, Grimm has promised to resign, paving the way for a match between two fresh candidates. All the better.